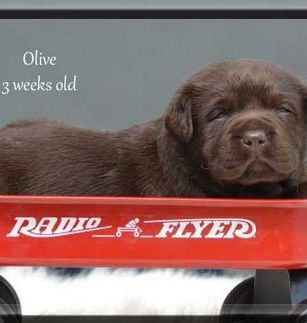 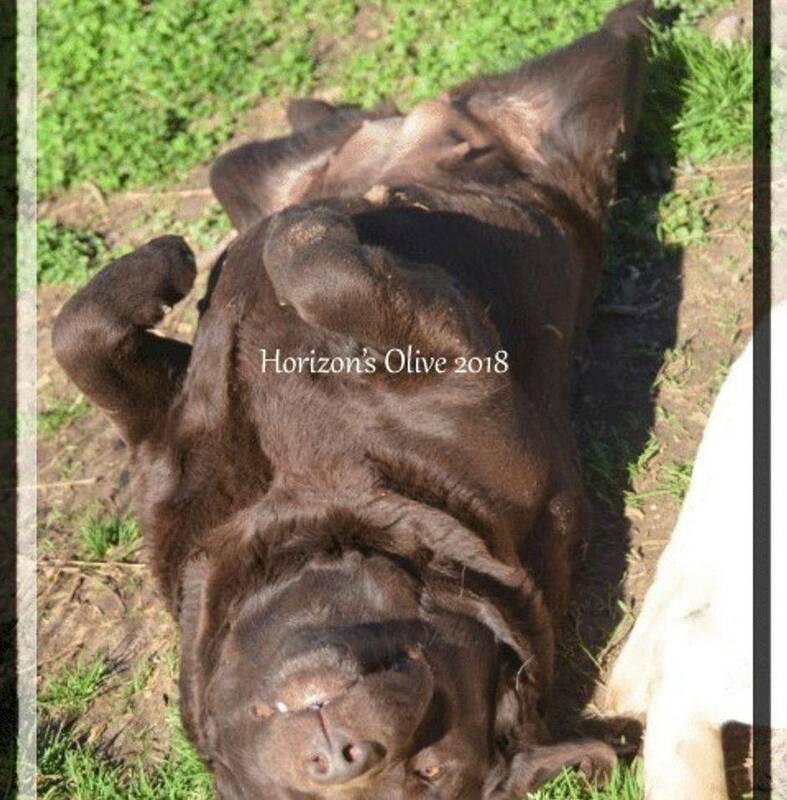 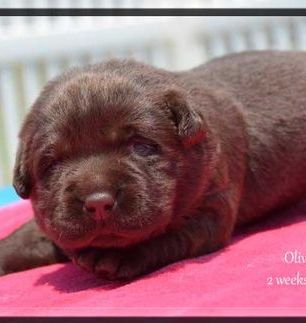 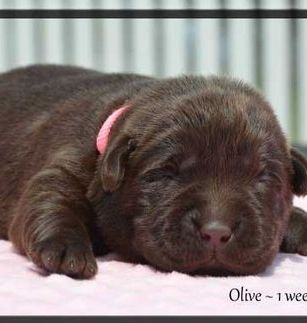 We are pleased to introduce you to our beautiful Boonie daughter, Olive. 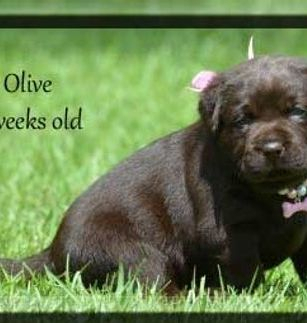 She not only has her daddy's good looks but she is very sweet & calm too. 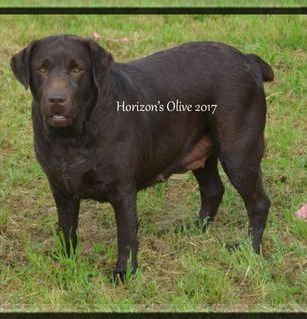 She is the total package of everything you want a lab to be. 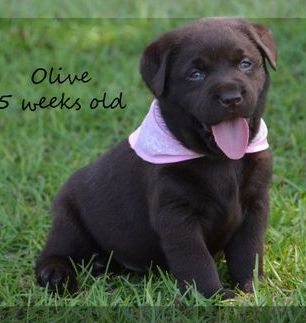 Olive weighs about 70 lbs. 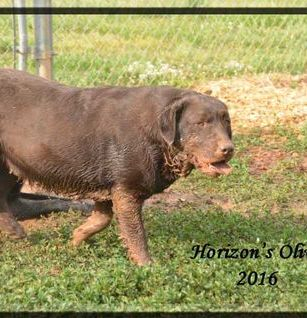 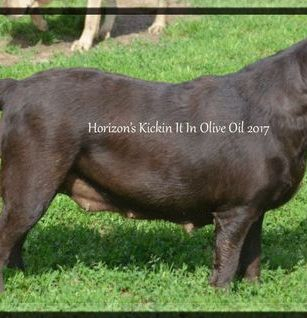 She is AKC CH grandsired on both sides of her pedigree & you can see it in her gorgeous body, thick shiny coat & otter tail. 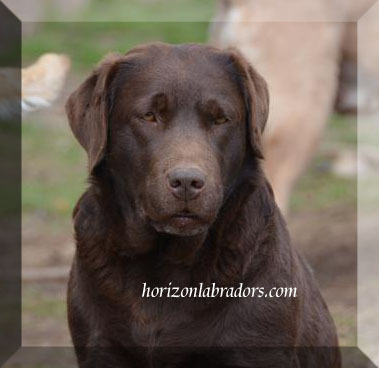 Her mom is AKC CH sired Bailey, who is one of the sweetest, kind hearted labs we've had the pleasure to own. 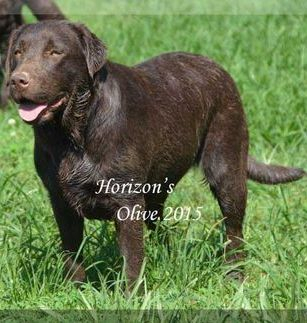 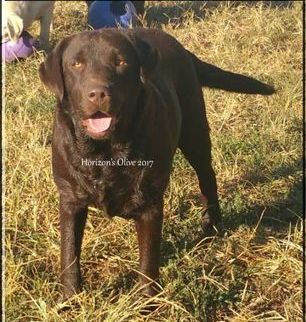 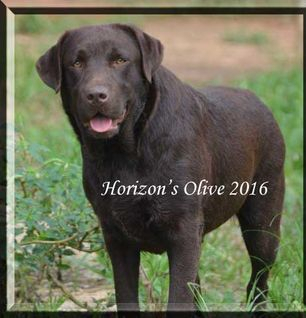 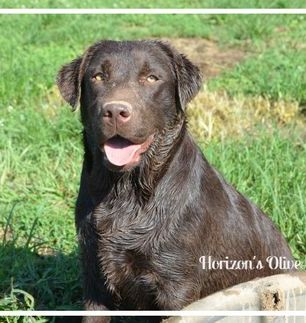 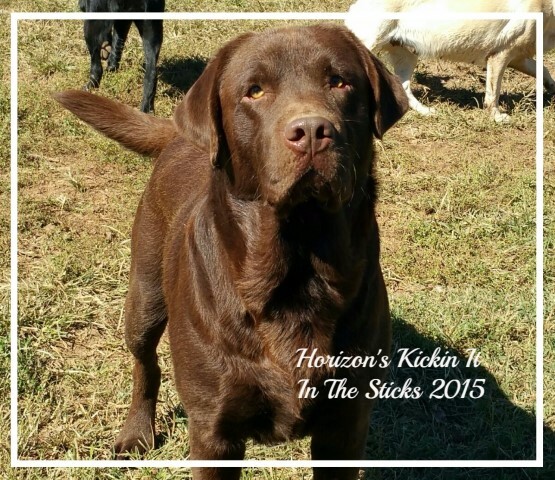 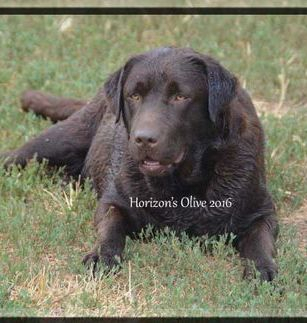 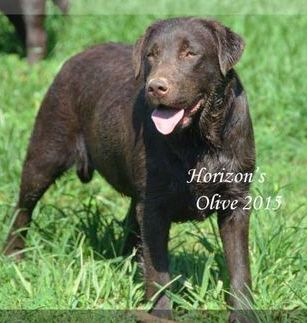 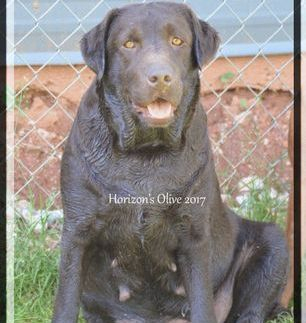 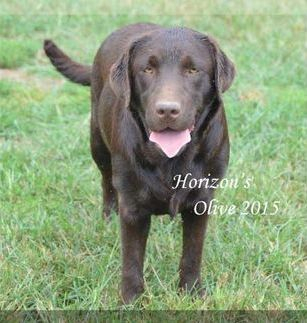 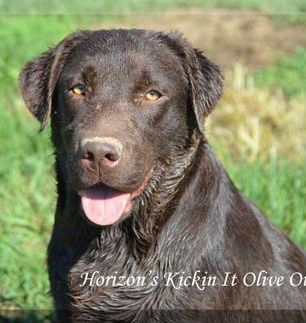 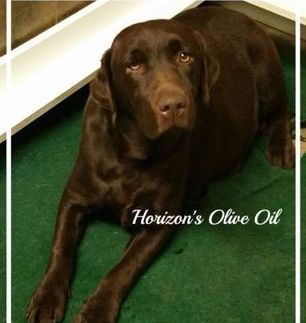 Her sire is our AKC GRCH sired chocolate boy, Boone, he is about 85 lbs of pure sweetness. 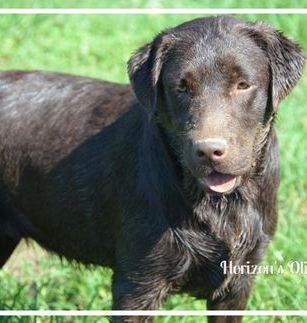 He is a loyal & fun loving boy.